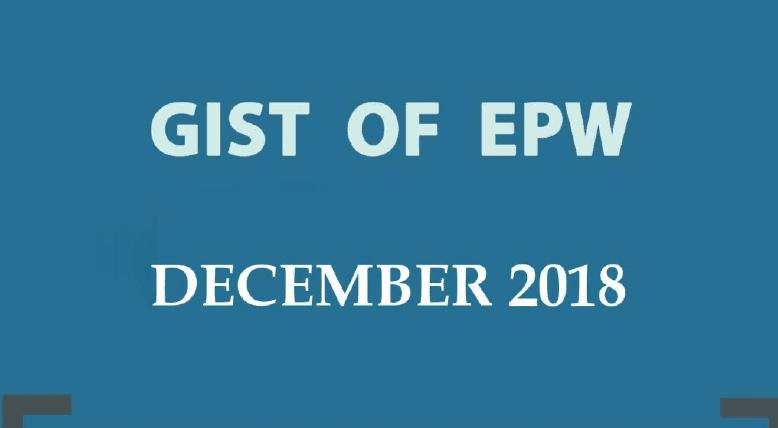 Download GIST of EPW of December 2018 in PDF format for UPSC CSE and state Level PCS Examinations. Download GIST of EPW of December 2018 for UPSC, State PSC and other competitive exam. This pdf help you to cover current issue and topics like Costs of Breathing , Questioning Surveillance sans Data Protection, Do We Need a Neutral Bureaucracy?, Rafale Judgment on Trial etc. To download GIST of EPW, please click on the link given below.